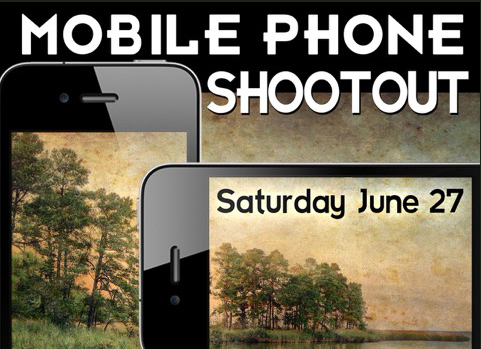 Grab your cell phone for an afternoon of creative fun and frolic. On Saturday, June 27, at 1 pm, we will announce five photo topics that will inspire and challenge you for an afternoon of shooting. 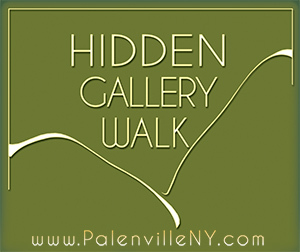 Compete in one of two ways: snap photos in and around Palenville, New York, for our Local Shootout; or participate in our International Shootout by uploading photos from the USA or anywhere in the world. Prizes include a spot in our 2016 Group Exhibition, iPhone Artistry workshops, and various mobile phone gadgets and accessories. Shoot on your own as an individual or gather some friends to form a team (up to 4 shooters). Sandra Carrion will judge the shootout entries. Carrion is the former director of Soho Photo Gallery and the creator of the annual International Krappy Kamera Competition and Exhibition in Manhattan. Winners will be announced at noon on Sunday, June 28. For more info, check the Frequently Asked Questions (FAQ). Fill this out for either Individual or Team. After submitting this form, use the handy payment button to send a $10 Individual or $20 Team entry fee. Now that your form is submitted, click the payment button to pay either an Individual or Team Shootout Entry Fee.